There are so many qualities in Jesus that I admire that I cannot even fathom obtaining just a few of them. 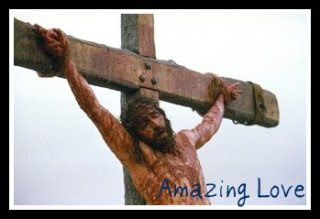 He was mocked, beaten and crucified, all for the love forgiveness. Even before his death, He was battered emotionally by the people He trusted the most. He was also betrayed by them too. The most amazing thing was His ability to still forgive them. It must take more of an evolved spirit; a person who truly knows God, like Jesus did, in order to forgive the people we would least expect to hurt us so deeply. Whether you believe Jesus is the Messiah or not, you have to respect His ability to give complete forgiveness to those people who wanted to hurt Him so badly. His faith was so great that He believed that His sacrifice on the cross was enough to save everyone and to give us salvation. To me, that's pure love. There are two types of people in the world: those who have the ability to forgive with a more evolved spirit, and the others who cannot seek forgiveness in their hearts; usually “inferior”, angry souls, who will retain that resentment for the rest of their lives. Whether you’re Christian or not, which category do you fall under?